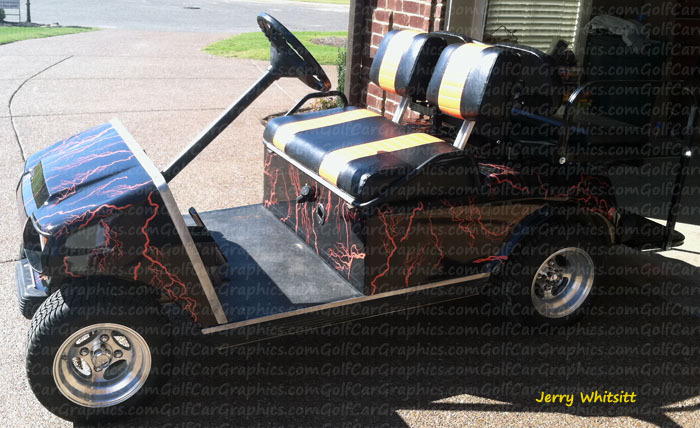 How about this custom golf car wrap installed by one of our first time users Troy? 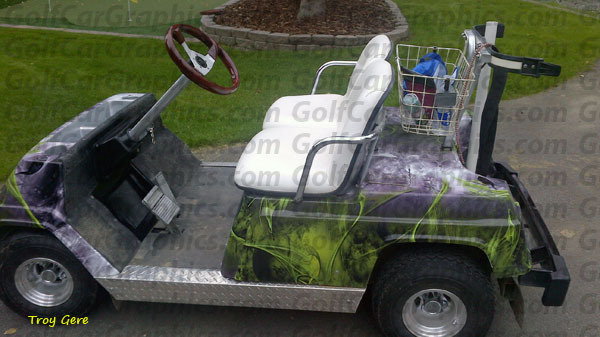 This is City Streets and talk about a wild custom design… We have over 200 golf car wraps just for golf cars. Don’t see one you like? 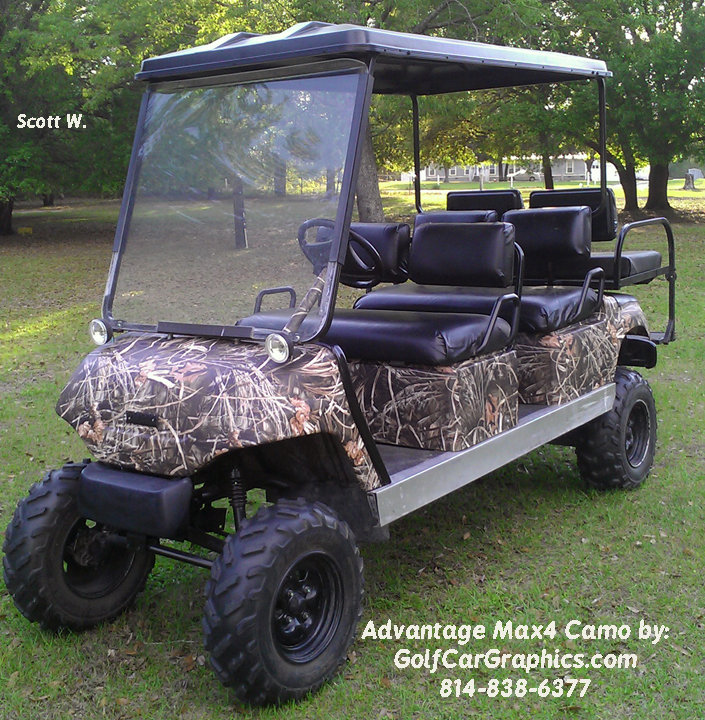 Contact us for a custom designed wrap just for you. 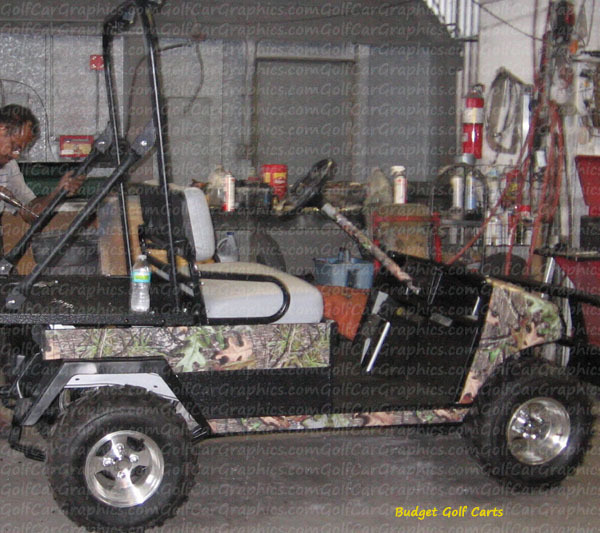 Take a look at this custom golf cart grill we created for our customer. 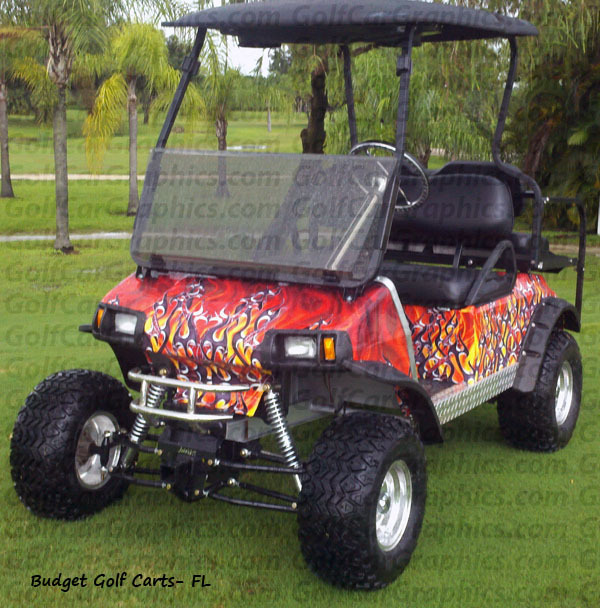 Let us know what you are looking for in your custom golf cart grill and we can make it for you. 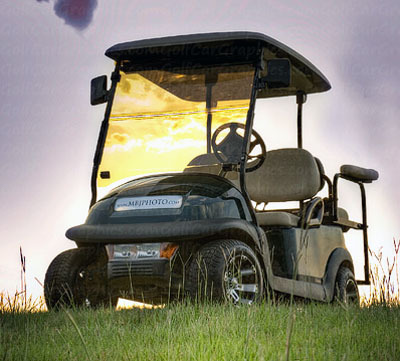 Available for most makes of golf cars. 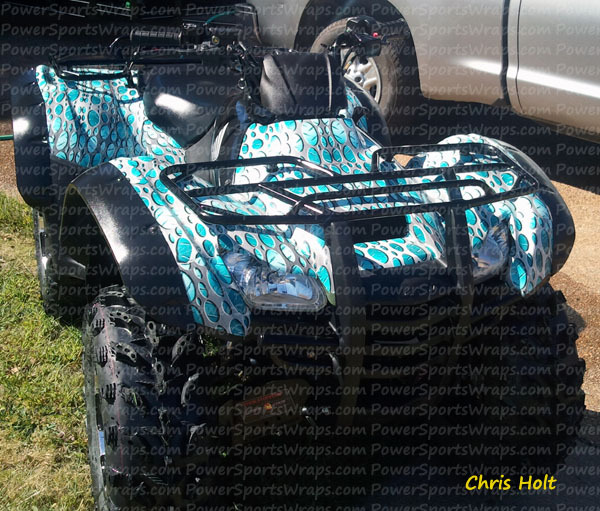 View the grill decals here. See our full line of color samples here, these are in stock colors. Please call for availability of other colors listed. 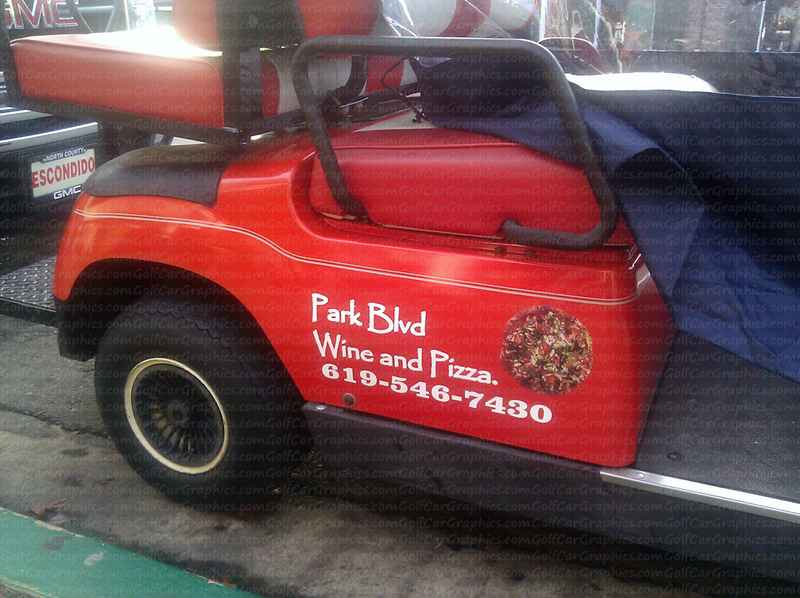 Pizza Shop gets Golf Cart Decals! 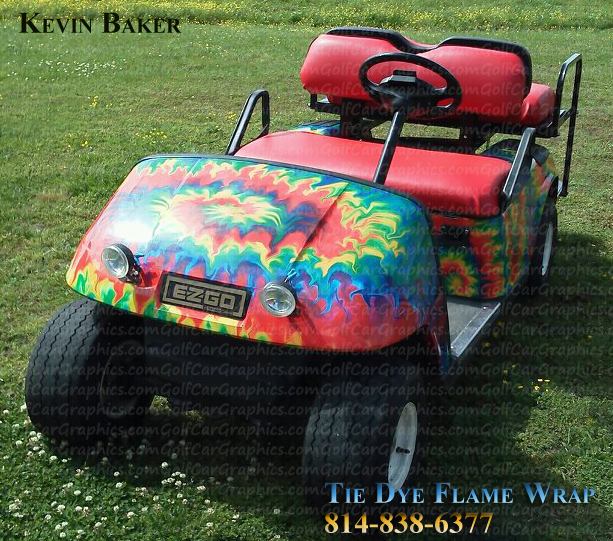 Get Psychedelic– Tie Dye Flame Wraps are Here!